Does your living room have a nautical theme, or your den a tropical motif? 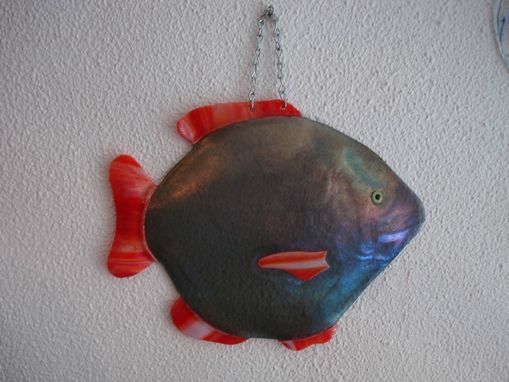 This 11'' x 9'' Hanging Glass Fish can give those design themes a boost, or inject a dose of eclecticism in a space in any style. 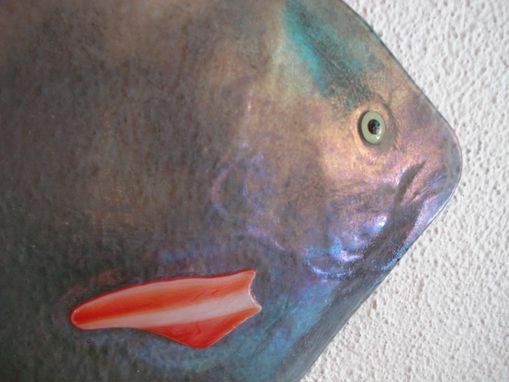 I've made this particular ornament in deep red and a lightly translucent gray glass, firing it once to meld the pieces together and a second time to give it that concave shape. 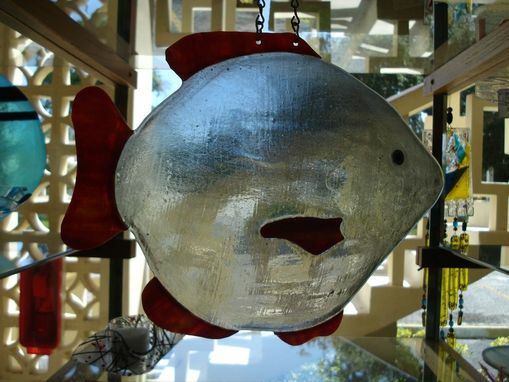 You can have one custom-crafted in any color, and virtually any shape and size you like, too! Hang near windows for best , read: prettiest , results.